Actions in Alpaka Punch will synchronise with the online version of the time tracking software, this is an important feature for ensuring a single point of reference from multiple points of input on different devices. 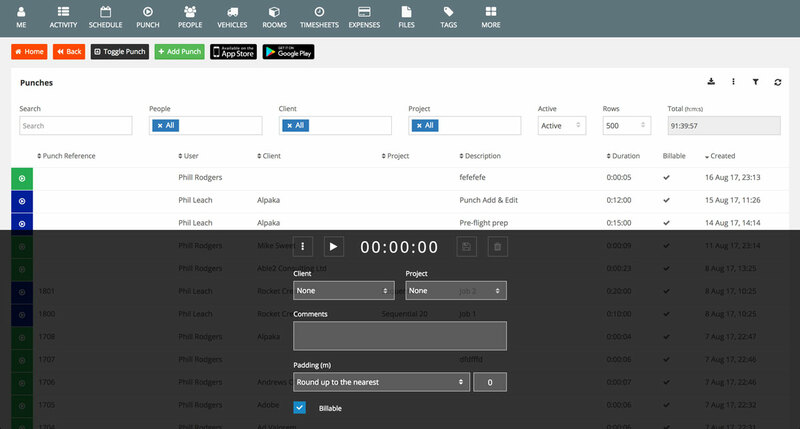 The Alpaka Punch app is usefull for accurately tracking time from anywhere when you are on the go, it can even be used as a break-out keyboard for time tracking if you are working from a desk using a laptop or desktop computer. The online version of Alpaka contains the same features as our timing app for the web so you can focus on your task without having to refer to your phone or device to mark the time.